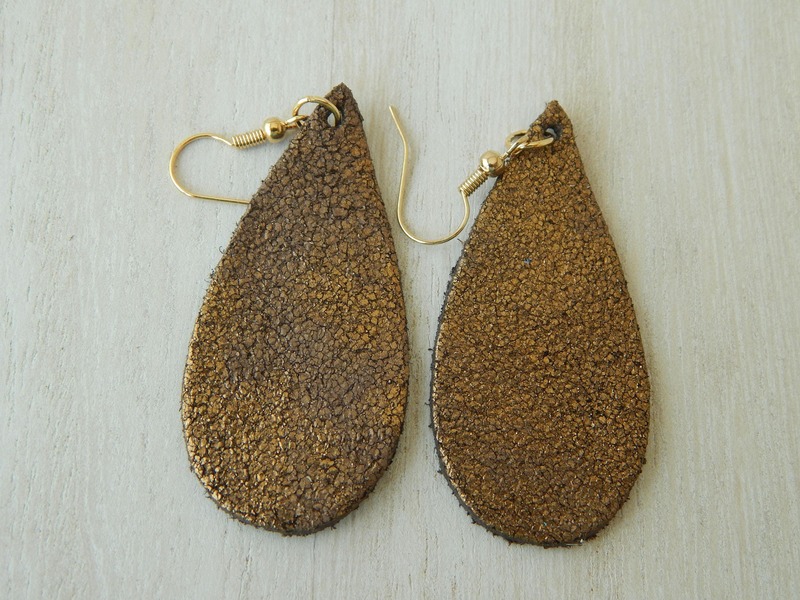 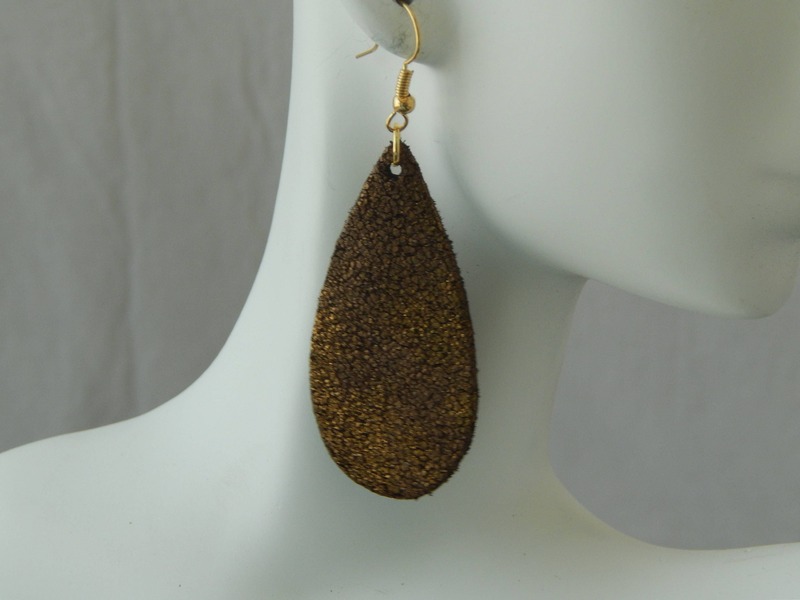 Small bronze teardrop shape leather earrings hang from 18kt gold plated earwires. 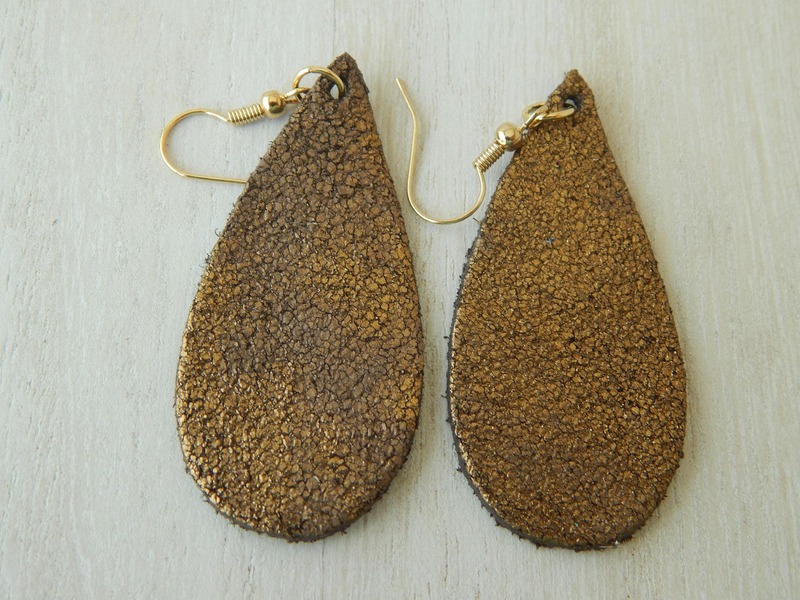 The neutral color of the leather easily matches any outfit and they're light weight and easy to wear. 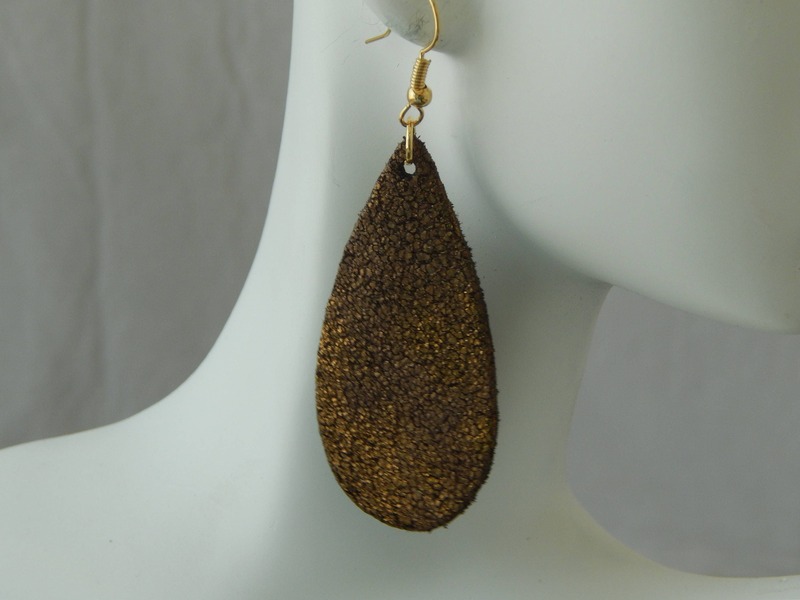 You'll be reaching for these earrings everyday.